It’s time to pack my bags but I’m pretty sure my heart will stay behind. 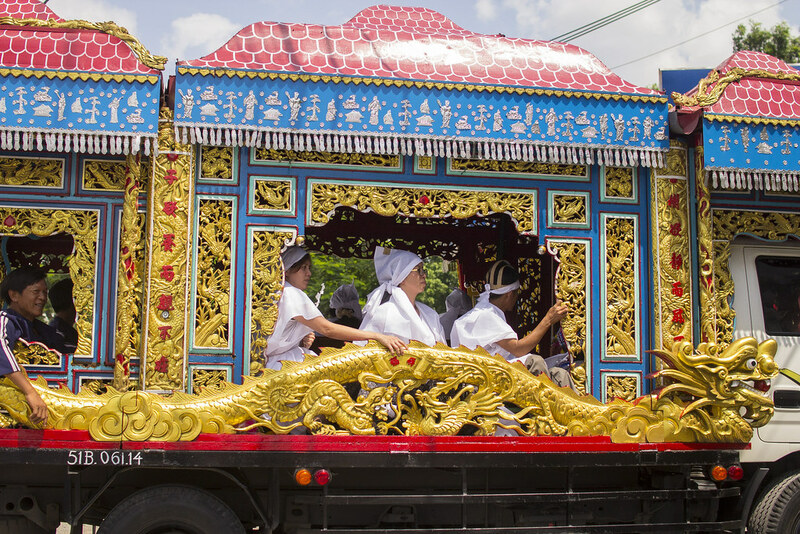 Even without the images of my photographs, I would remember the images in my mind – the men and women, boys and girls, families, children, young, old . . . . 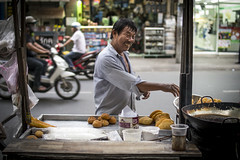 I will remember the friendly hospitality that I encountered on every turn. I will remember the good and the bad that I saw. I will remember the deep spirituality encountered on every turn, sadly directed to idols and spirits and not to God. 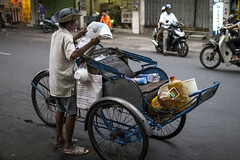 For now it is ‘goodbye Saigon’ for me, but Saigon will remain in my prayers and I hope it will remain in yours as well. A food vendor smiles while preparing fried snacks. 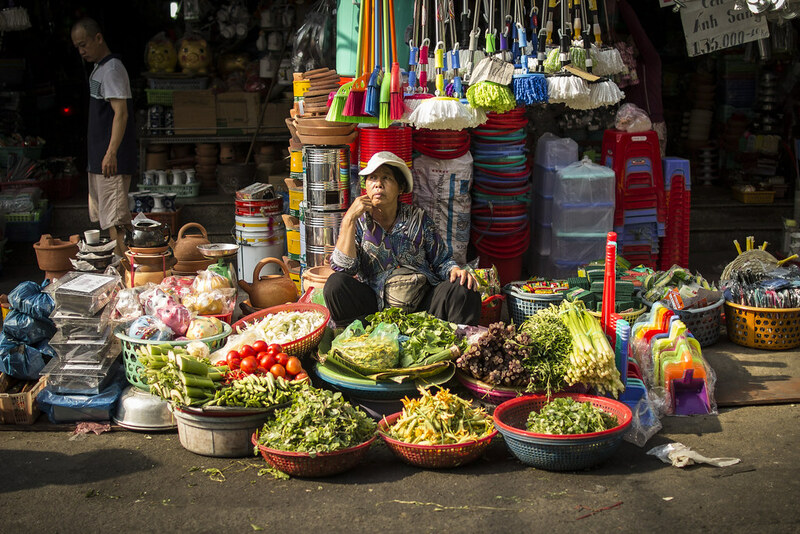 A vendor in a morning market waits for customers. A driver reads the paper while waiting for business. 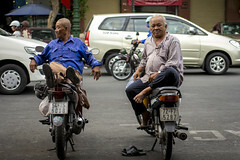 A couple of motorcycle taxi drivers searching for customers. 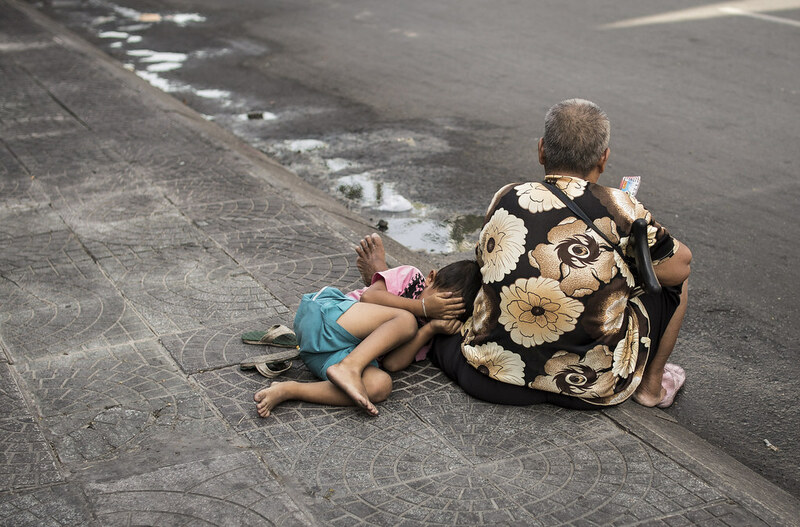 Sometimes the child will be related to the person begging, and sometimes the child is only there to illicit pity. A young man visits a temple to offer prayers to a statue representing the Buddhist goddess of compassion. 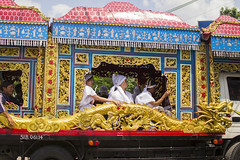 Family and mourners ride in a decorated truck headed to a funeral. 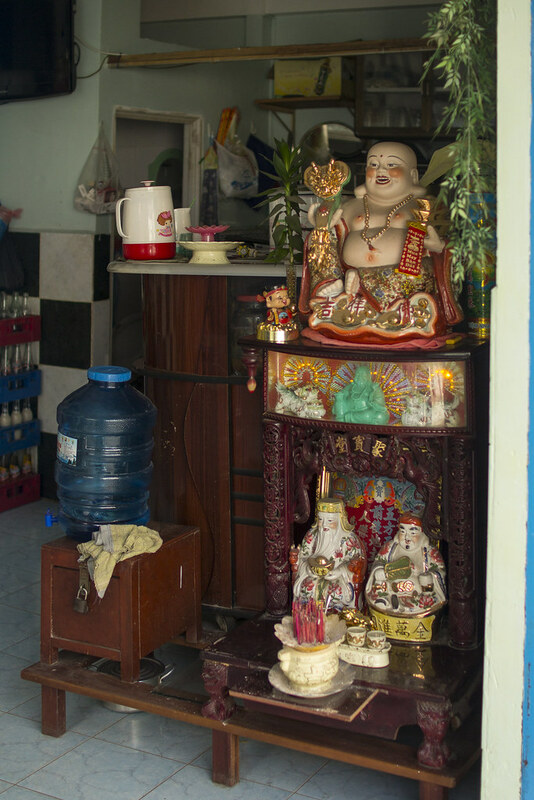 A typical altar with multiple idols. 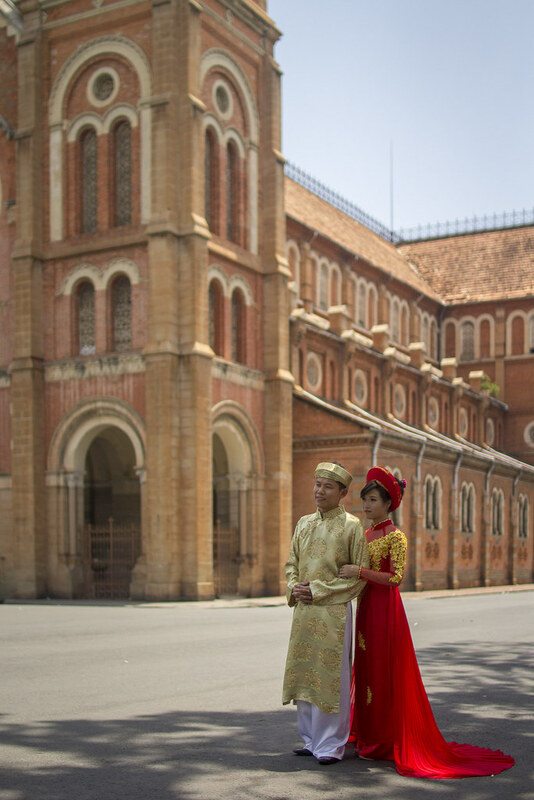 A Vietnamese couple dress in traditional costume for their pre-wedding photo shoot. 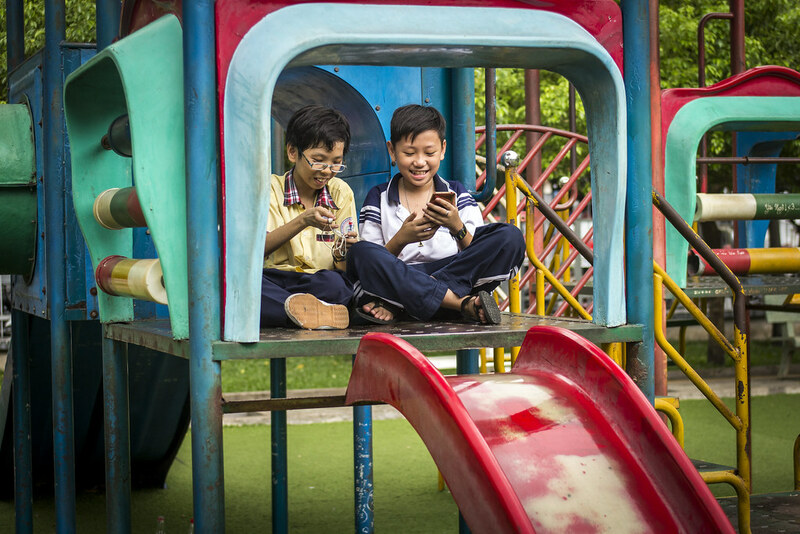 Students play on smartphones at a playground after school. Three young girls that I had a quick chat with. 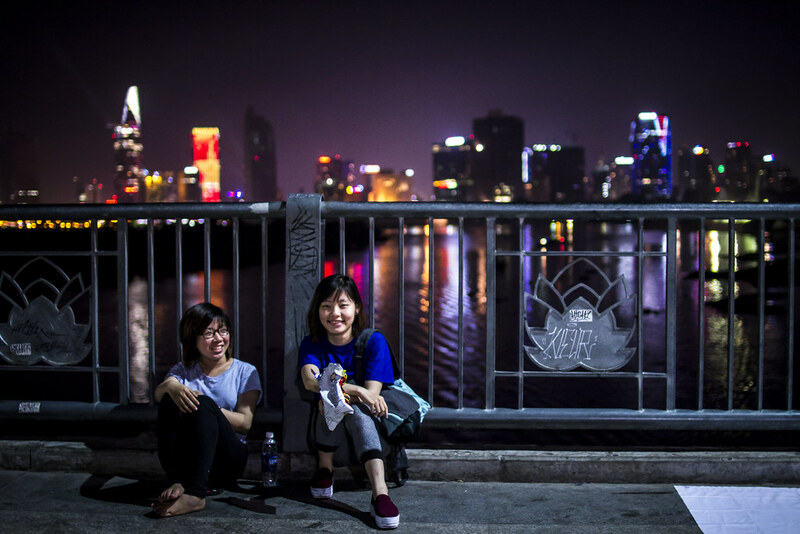 Three friends walk along the street in Cholon. 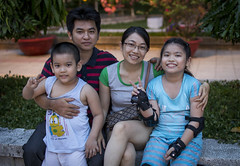 A family spends the evening rollerblading and relaxing in the park. 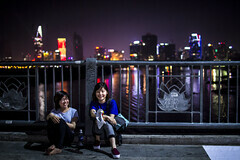 Locals relax at a bridge famous for its lovely view of the Saigon skyline. 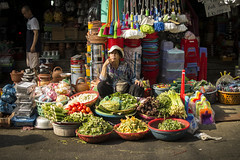 Thank you for your wonderful pictures of your journey through Vietnam. As a Vietnam veteran I especially enjoyed the pictures taken in the Mekong Delta, where I spent a year. 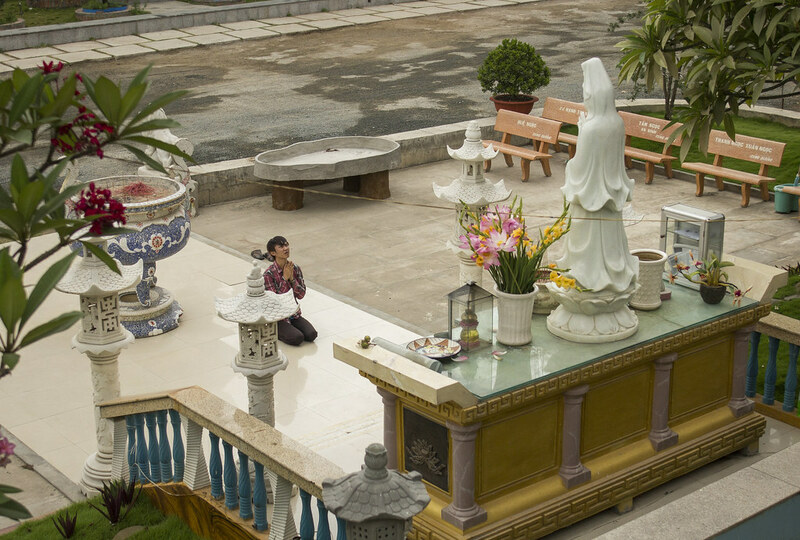 I will continue to pray for the salvation of the Vietnamese people. Jim – thanks for your note. 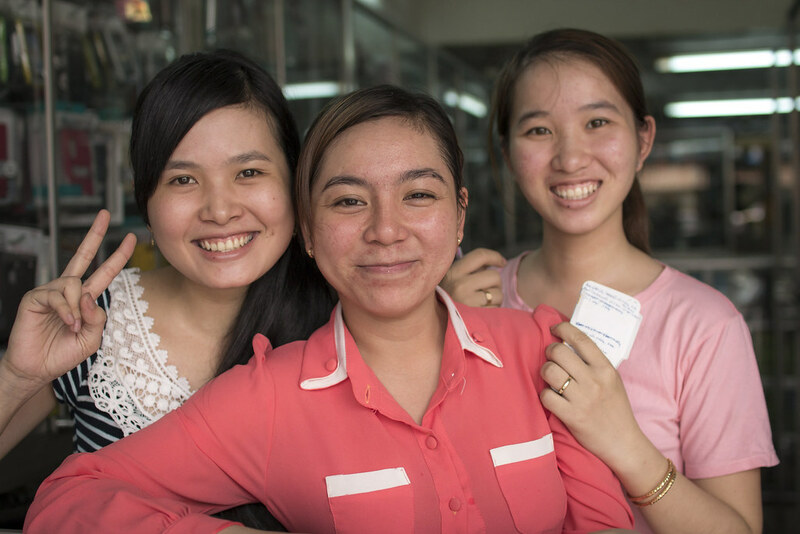 Glad you enjoyed the pictures and thank you for your prayers on behalf of the peoples of Viet Nam.